Although it may not be a common term, silent stroke is a leading cause of vascular dementia that impacts about one-third of those over the age of 70. A better understanding of silent stroke can help many people reduce the risk of memory problems associated with vascular dementia. During a typical stroke, a clot blocks a blood vessel that feeds part of the brain. Brain cells then can die, leading to facial weakness, trouble speaking, difficulty walking, or even vision problems. So what is a silent stroke then? Well, when someone has a silent stroke, blood flow is interrupted and cells in an area of the brain that don’t control vital functions get destroyed. This damage can show up on an MRI or CT scan, but is often too small to produce obvious symptoms. Still, a silent stroke can cause cognitive impairment. Many people don’t even realize that they have had a silent stroke or a series of them, but research has shown that silent strokes can lead to vascular dementia. Vascular dementia is the second most common type of dementia. An interruption in blood flow to the brain, and large strokes that can affect sensation, strength, as well as other parts of the nervous system can contribute to vascular dementia. People who have diabetes, hardened arteries, high blood pressure, or who smoke are at a higher risk for vascular dementia. People who suffer from a normal stroke often experience symptoms such as tingling or weakness on one side of their body, trouble speaking, confusion, sudden changes in their vision, headaches, and problems with balance. In the case of a silent stroke, signs can go completely unnoticed since the interruption is not in an area that controls functions, such as mobility and speech. Most of us lead busy lives and that means that small signs that accompany silent stroke are paid little attention. Studies show that some silent stroke sufferers may experience mild memory problems and chalk it up to stress or aging. Research suggests that out of 12 million strokes that occur each year, about eleven million are silent strokes. The problem with silent strokes is that they occur continuously over time and, therefore, the effects can be cumulative, leading to memory problems. This is where silent strokes and dementia are connected. Here’s an example from one recent study. Researchers followed over 600 patients as part of an ongoing dementia investigation. They found six patients with brain lesions indicating silent stroke. Three recalled symptoms of silent stroke that they dismissed, while two of the patients had symptoms that were blamed on their cognitive impairment. The final patient experienced a lack of coordination, which was simply attributed to confusion. There are certain risk factors associated with stroke. For example, your risk may be greater if a parent, grandparent, sister, or brother has had a stroke. If one of your family members has suffered a stroke perhaps you are aware of how life-changing it can be, but when it comes to silent strokes, the damage can be less obvious until there have been several silent strokes that have gone unnoticed. Here we outline some of the other risk factors linked to stroke. Age: The chance of stroke doubles for each decade of life after age 55. Race: African Americans have a higher risk of death from stroke due to the fact that they have a higher rate of high blood pressure, diabetes, and obesity. Gender: Women have more strokes than men and more women die from stroke than men do. Contraceptive use, pregnancy, preeclampsia/eclampsia, gestational diabetes, and post-menopausal hormone therapy may pose stroke risk in women. Prior stroke: Anyone who has had a stroke before, a heart attack, or transient ischemic attack, which is a warning stroke, could also be at higher risk. Without any symptoms being displayed, silent stroke diagnosis can be challenging. In many cases, people are not diagnosed until long after the stroke or strokes occur. Scans such as a CT or an MRI can detect small lesions in the brain that are indicative of a stroke. These dark spots can tell a doctor which type of stroke has occurred and therefore what kind of treatment should be administered. 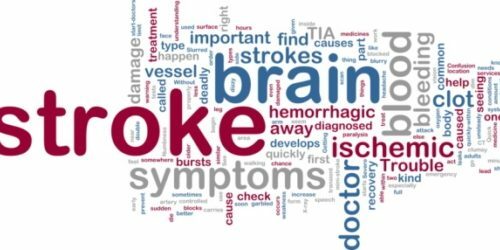 The most common type of stroke is an ischemic stroke, which is caused by a blood clot that blocks an artery and limits blood flow. Silent strokes are usually ischemic strokes. The other type of stroke is called hemorrhagic, caused by a leaking or ruptured artery that leads to bleeding in the brain. In the case of ischemic strokes, a person can experience a number of tests, including an electrocardiogram to check for heart abnormalities and blood tests to check for any underlying problems that could cause symptoms. How silent stroke causes memory loss? Some neuropsychology experts report that people think of memory problems as a sign of Alzheimer-like changes, but this isn’t always the case. In one study, researchers at Colombia University’s Taub Institute for Research on Alzheimer’s disease and Aging looked at over 600 people over 79 with no history of dementia. These people were tested for their memory, language, and thinking abilities. Experts also measured their hippocampus, a part of the brain that regulates memory and emotion. A smaller hippocampus is usually associated with cognitive decline. Brain scans showed that 174 of the participants experienced silent strokes and did not perform well on memory tests, independent of their hippocampus size. The study findings suggest that stroke contributed to memory loss and could be a potential indicator for Alzheimer’s development. In other words, dementia-like symptoms may be due to the vascular changes in the brain. Researchers believe that by controlling vascular symptoms, we can prevent stroke, which in turn could be a good way to prevent cognitive changes as we get older. Silent stroke prevention is possible. For example, managing risk factors such as high blood pressure and diabetes can be helpful, as well as quitting smoking, eating a healthy diet, and exercising regularly. Research shows that taking part in moderate to heavy physical activity can prevent silent strokes. Blood pressure – control it by getting it checked regularly and taking any blood pressure medication as prescribed. Salt – less than one teaspoon per day can lower blood pressure as much as some medications in some people. Cholesterol control – try to keep total cholesterol below 200mg/dL and LDL cholesterol below 100 mg/dL. Lose weight if you’re overweight and increase fiber in your diet. Smoking – talk to your doctor about methods that can help you quit, including patches, gums, and other replacement products. Fruits and veggies – consume at least 1.5 cups of fruit and 2.5 cups of vegetables a day, while cutting back on red meat and sweets. Activity – be active, engaging in activities such as swimming, brisk walking, or riding a bike for 30 minutes per day. Paying attention to your body and not blowing off any unusual signs and symptoms, such as dizziness, loss of muscle coordination, confusion, or vision changes is important. The reality is, the quicker you get treatment for a stroke, the lower your chances of experiencing serious long-term effects are.